A majority of applications and services disclose an Effective Date or version number of the policies. Among the applications and services we evaluated for our 2018 State of EdTech Privacy Report, approximately 89% were transparent and disclosed a version and/or effective date of the policies in compliance with State law. A version or effective date provides notice to consumers of exactly what terms they actually provide their consent, and more importantly give notice in the event any changes are made to the policies which require a new effective date. However, our evaluation process uncovered that a majority of applications and services with more than one policy, often have different effective dates or versions for each policy. Therefore, consumers need to track multiple effective dates against multiple policies, which creates consumer confusion about which policy has changed. It is recommended when an application or service makes substantive changes to a single policy and changes the version or effective date, they should also take the opportunity to review and revise any additional policies in order to have all policies share the same effective date. In addition, it may be easier for applications and services to combine policies if applicable, and have all their policies and contractual agreement templates in one place that would provide parents, teachers, schools, and districts with a single location to find and access all required resources. These best practices would support greater consumer confidence and comprehension when substantive changes are made to multiple policies, and ensure all of a product’s terms are all up-to-date. 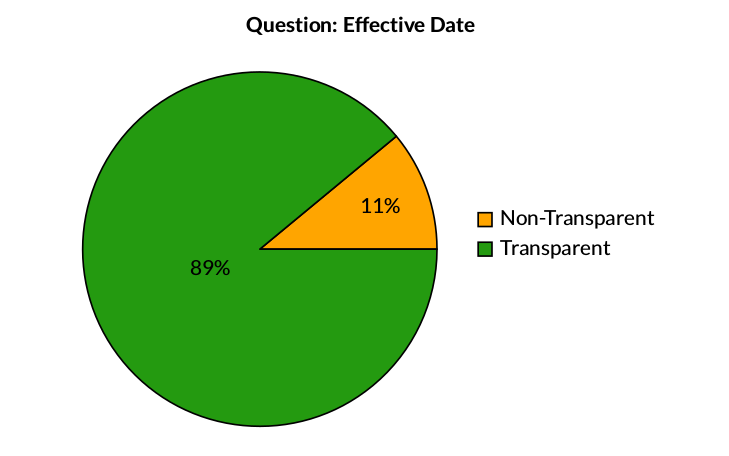 Figure 1: This chart illustrates the percentage of question responses for Effective Date. Transparent question responses indicate the application or service provides a version or effective date. Non-Transparent responses indicate the application or service does not provide a version or effective date.